Where did you do your summer internship from? What was the size of the company? ANS : I did my internship from Barclays Shared Services (BSS). Barclays Shared Services (BSS) provides operations support and services to businesses across Barclays. It has more than 13000 employees. What project you worked on and what was the timeline for execution of different stages of the project? 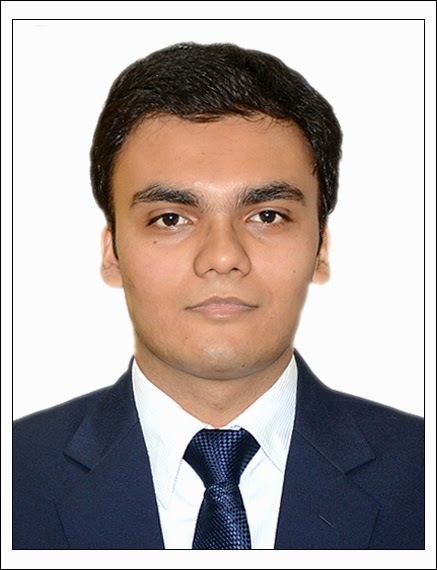 ANS : I worked on process optimization projects, and was also trained on vendor terminals like Bloomberg and Reuters. The timeline was well defined as there were two performance reviews held during my 2-month internship. Every intern is assigned some goals after a meeting with his manager and timeline for the same is decided then. How did you execute the project? ANS : I have never worked in a bank before so it was bit of a challenge to understand the processes at the first go. However, with good support from my team I was able to grasp the nuances quickly. While setting my goals, my manager asked for my suggestions and based on that we had a good discussion. So it was kind of open environment where I could give suggestions and also, where I could ask anyone for help if in doubt. What were the key challenges that you faced while doing your internship? ANS : The first and foremost challenge was the shift I was working in, 5 pm to 2 am. :D. Being an early riser it was quite a task for me to stay awake. Frequent visits to coffee machine helped me during initial 4-5 days. Jokes apart, it was fun and a great learning experience. The other challenges that I faced were just related to my project requirements for which I got support from my team. Tell us about your key learning’s while doing the project. What was your overall learning after the completion of the internship? ANS : It is fun to learn new things on the job but at the same time you have to make sure that you learn them real fast and take action on them quickly. Another important thing is communication. You need to be able to understand the requirements of your client and be able to communicate your suggestions and concerns clearly. It’s better to have a lengthy discussion at one go rather than short calls every now and then. Barclays as an organization spends a lot of time on its employees in order to develop better professionals out of them. I learnt the importance of networking during my internship. We were also encouraged to meet directors and higher management and just have discussion with them on any topic we like. How supportive was your corporate mentor in the execution of the project? ANS : I worked for two teams, so two managers (AVPs) and one senior manager (VP). And all were really supportive. They took note of my suggestions, we had discussions based on those suggestions, and I could always share my concerns with them. It was a very nice working environment and there was always some fun thing going on the floor. While doing your internship, how were you connected with your academic mentor at your institute? ANS : We were not allocated any academic mentor. However I am sure if any of the students have any query ever, even after the course, our beloved HoDs and other faculty members will always be there to guide us. How was your interaction with other employees during your internship period? Would you like to come back to the place for a job? ANS : Sure, I would love to. My team is a bunch of fun people and I would love to work with them again. Share a memorable incident from your internship days. ANS : During a town-hall, where people from higher management address multiple teams, the country head of my vertical introduced me to the Head of Operations and appreciated the work I had done.